Is it time to clean out your medicine cabinet? What should you do with expired, unused, or unwanted prescription medication or sharps? Never throw these items into the garbage or flush them down the toilet! They can pollute our local waterways and harm our trash collectors. Instead, follow these tips from Zero Waste Marin and our partners to safely dispose of your medication and sharps. Med-Project is a program focused on medication education and safe disposal in Marin County. They offer resources including a prescription drug mail-back service and in-home disposal tips. Visit med-project.org for a list of nearby disposal locations in Marin. Many local pharmacies now accept sharps and/or pharmaceutical waste. Visit marincounty.org for a comprehensive list of facilities in your area that accept sharps, pharmaceutical waste, or both. The Drug Enforcement Administration (DEA) recognizes National Prescription Drug Take Back Day every April and October. The next collection date is October 27, 2018. On this day, residents can bring their unwanted prescription medications to a local, participating collection site. For more information, visit deadiversion.usdoj.gov/drug_disposal/takeback/. Check with your local disposal outlet for details on pre-disposal procedures. For example, before you dispose of unwanted medication, place your extra tablets or pills in a Ziploc bag and recycle your empty vials at home. Keep liquid prescription medication in original bottles and remove or mark off the label to ensure your privacy and anonymity before disposal. Zero Waste Marin works with cities and towns throughout Marin County to educate residents about ways to safely dispose of unwanted prescription medication and improve the environment. Click HERE to download a PDF copy of this newsletter. Please join us Saturday, June 9th, 2018 from 10:30 am – 12:30 pm in Sausalito. This class is free for all Marin county residents. You will learn everything to know about composting at home, receive a free kitchen compost pail, and enter to win a free composting bin! The class is located at 420 Litho Street, Sausalito. For more information and to register, please email Todd Sutton at todd@wastesleuth.com or click Sausalito for more information. Need to swap out your winter wardrobe to make room for summer clothing? • Donate your clothes to local thrift stores, such as Goodwill. You can claim these donations as tax deductible. • Don’t throw your textiles in the trash! Many local retailers have programs to take back your worn out or stained clothing, towels and sheets. If it’s time to get a new appliance, recycle your unwanted large and small appliances, including refrigerators, stoves, microwaves, and toasters. • Donate old silverware, plates, cups, pots, pans and other kitchenware to Goodwill. • If your appliances are still in working condition, contact local charities such as the Salvation Army or Habitat for Humanity. You’ll be able to claim charitable deductions for donated appliances. • Visit our Recycling Guide for a comprehensive list of organizations that recycle appliances or accept donations. • For appliances that no longer work, visit Zero Waste Marin’s Electronics Information Page to learn about safe disposal options or contact your local hauler to learn about their collection options. • Sell usable electronics on eBay or to a local thrift store for fast cash! • Consider upgrading a component of your computer, such as adding additional memory or storage, to lengthen your laptop’s life span. • Recycle used printers and ink cartridges for free through programs like the HP Computer Recycling Program or through Quill.com. • Donate used books that are still in good condition to local libraries, thrift shops, hospitals, and used book retailers. • Unusable paperback books and magazines are easily recyclable. When recycling, hardcovers should be removed because the glue that holds the book together is not recyclable. • Help reduce metal packaging waste and save money on your summer camping trips by switching to refillable fuel canisters! 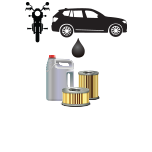 Learn more about refillable fuel canisters or find a local retailer on refuelyourfun.org. Refillables can last up to 12 years and be refilled hundreds of times! residents about waste prevention, reuse, and repair. Click HERE to download a PDF copy of this newsletter.